All of this to say: I love cheap clothes. Specifically, I like cheap, nice clothes. I’d prefer not to look like a yard sale hoodrat for the next however-many-months I have left until I get back to my pre-pregnancy weight (I’m optimistic!). So this Thanksgiving, I’m thankful for online consignment sites like ThredUp and Vinted. Basically, after tipping the scales at exactly 200 pounds (ugh…), I had my son and miraculously lost my urgent Poptart and donut compulsion soon thereafter, so I’ve been losing about 1-2 pounds a week. It’s awesome, but it also means nothing fits. My maternity clothes are too big, but my pre-preg clothes are still too tight. I have no clothes, but f*ck if I’m going to spend $100 at the Gap on jeans and sweaters that aren’t going to fit in a couple of weeks. But Lord, who has time for consignment sales? I used to be really on top of those things, especially for baby clothes. I was a consignment sale predator. My reflexes were motherf*cking deadly. But now? Pfft. I’ve got one, maybe two usable hours in the day where I can get out of the house and do all the things. Shopping takes a backseat, which is why I’ve gone so far as to give up my Whole Foods snobbery and order plebian, non-organic, genetically modified foods from Safeway because they will be delivered to my doorstep. There is NO TIME for clothes shopping, and even if I could (lol@ a toddler and a four-month-old in a fitting room), trying on clothes would be a long, arduous, depressing enterprise that I just don’t even want to think about. So thank you, ThredUp and Vinted, for giving me the opportunity to simply order used clothes in good condition for cheap and send them back if I don’t like them. You guys are the best! I ordered my first batch of clothes from ThredUp two weeks ago. Shipping is free when you order $50 or more worth of merchandise, and a cute little box was waiting on my doorstep one sunny Tuesday afternoon. 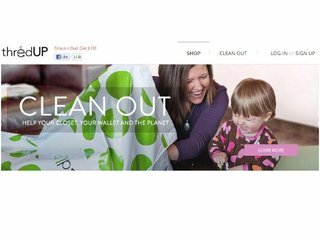 The site is so easy to navigate that even a sleep-deprived mother-of-two who’s so tired she forgets she’s pouring a glass of water until it’s overflowing in her hand can order clothes quickly and easily. It helps if you know the brands you like, and then you can simply run a search that lets you refine according to your style, size, and favorite brands. From there you can search categories such as sweaters, dresses, jeans, etc. The bane of my existence right now is jeans, but I know that Old Navy bootcut jeans always work with me, so I can simply run a search on Old Navy jeans in the size I’m currently hovering in. Vinted is similar but with more of a focus on high-end brands. And it’s more of a Pinterest-like experience with images of cute clothes that you can filter by size and brand. Turns out, lots of people are embracing the online consignment sale experience. ThredUp has 1.5 million members and is growing revenue by 50% each quarter. Sales will be up 3x over last year, and at $48 million raised to date from investors like Redpoint Ventures, Trinity Ventures, Highland Capital Partners, Founder Collective, and more, it’s now the most-funded consignment startup on the Web. 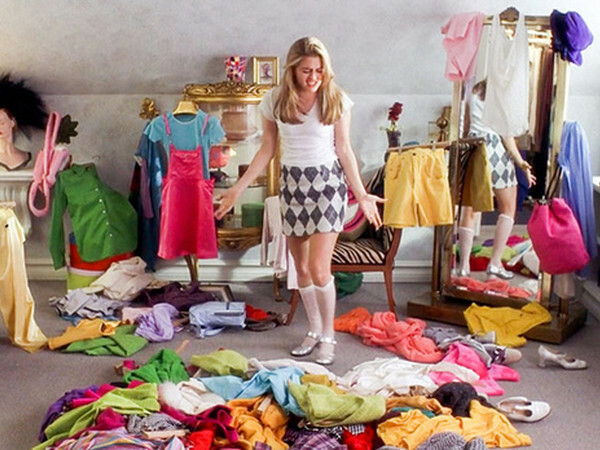 And the average ThredUp user is…me—busy, time-constrained women between the ages of 25 and 40 who shop for themselves and their kids at the same time. Yes. I am busy, and time-constrained, and I like feeling sorry for myself. So thank you, ThredUp, Vinted and other online consignment sites, for making my hunt for decent clothes just a little less painful.